I try a lot, but I can't fix the problem with the menu on mobile phones. It disappears behind the content or there is nog menu at all. I see a lot of topics, but not with a sollution. 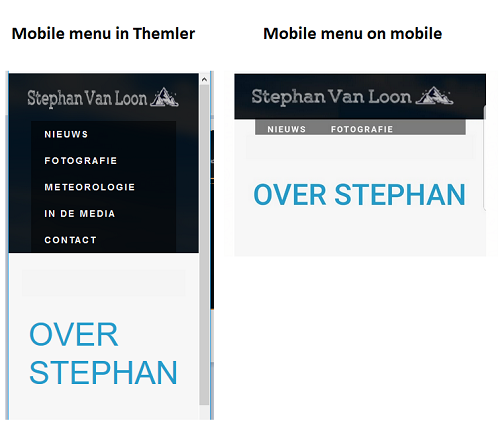 Also the normal menu is not working on mobile devices.... :( !themler.png!